Goings-on in and around Sunset Park. 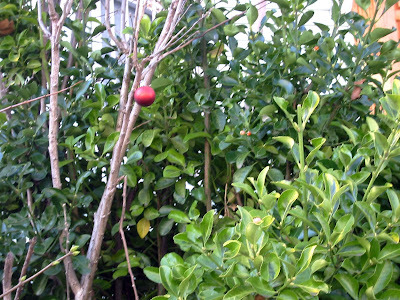 I spotted this solitary ornament in the tree-bush in front of a home on 43rd Street. 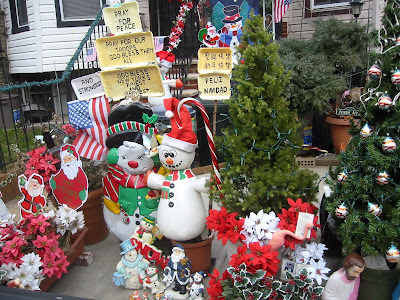 The more extravagant display below is courtesy of a house on 58th Street. They also had a fantastic Hallowe'en display.